It turns out people don't want to watch AAA rosters in the majors and support lying, cheap organizations. Who knew? The Miami Marlins had the most embarrassing offseason of any professional sports organization in recent memory. The Derek Jeter-led front office took over a solid roster, featuring star-level players such as Giancarlo Stanton, Christian Yelich, Marcell Ozuna, Dee Gordon, and J.T. Realmuto. Of those players, only Realmuto remains (and is currently injured), and it seems likely he’ll be traded before the 2019 season begins. This isn’t a rebuild; it’s a teardown. 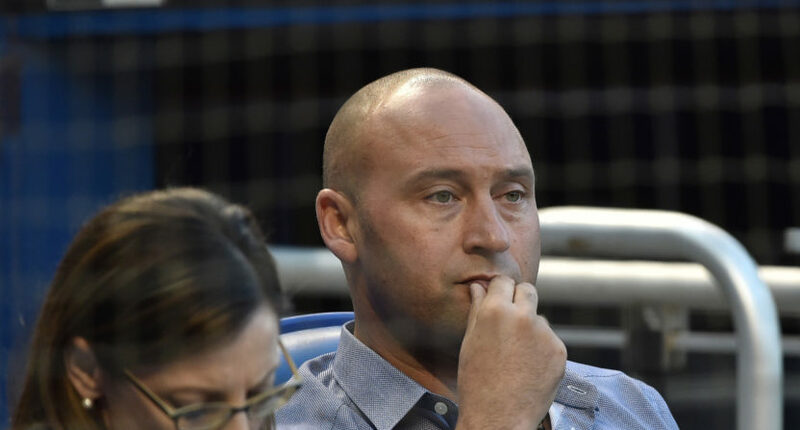 The Marlins tore apart a roster that could’ve competed for a Wild Card slot this year, despite Jeter’s claim that they still wouldn’t have competed even if they added Yu Darvish or Jake Arrieta to the roster over the offseason. The front office traded away star talent, all for the purpose of shedding the hell out of payroll. The prospect return in these trades was decent, but nowhere near good enough for the level of talent they gave up (and again, on a team that could’ve been competitive). Well, perhaps the most laughable news to come out of the front office’s offseason was that they released a document — Project Wolverine, for real — to potential investors, in which they projected a big attendance boost at Marlins Park. The Marlins have always had attendance issues, and the idea that fans would want to come out to support the organization after the embarrassing offseason, to watch a roster currently projected by FanGraphs to win an MLB-fewest 65 games, is nothing short of hilarious. Sure enough, very few people have shown up to see the Marlins’ home games so far. The paid attendance for Marlins’ game on Monday night against the Mets? 7,003 people, the lowest paid attendance number in the eight-year history of Marlins Park. Now, the Marlins have changed how they’re reporting attendance in 2018; they’re only counting the actual tickets sold. Regardless, this is an alarmingly bad number, especially when they can’t use April weather as an excuse like teams such as the Chicago White Sox can. Additionally, Monday’s game featured a Mets team that is now 8-1 and had Noah Syndergaard on the mound, and still, only an announced crowd of 7,003. Marlins paid attendance tonight: 7,003. So maybe not the 80 fans rooting for the Marlins that I guesstimated. Probably more like 65. How many people are going to show up when the Marlins are 20 games back (which may happen by the All-Star break)? Or when the Marlins trade away whatever useful veteran players they have left (Realmuto, Starlin Castro, Justin Bour, Dan Straily, etc)? Or when the Marlins are facing crappy teams that don’t have a big following (say, the San Diego Padres)? Things are going to get worse before they get better here, and the Marlins’ brass asked for it with their clown-show offseason.